I wonder why there are a number of roads that are being fixed a few months before elections? I wonder what is there to improve, if in the first place, the road is ok and nothing needs to be fixed on it? Perhaps, the “lawmakers” did not know how to make use of their PDAF (priority development assistance fund) or pork barrel before a new congress emerges? If that’s the case, shouldn’t they look at other factors that need more focus? Don’t we find that there are more schools that need fixing? More backlogs in education that needs to be addressed? More of unemployed people needing jobs? More assistance in our macro-business in every region? 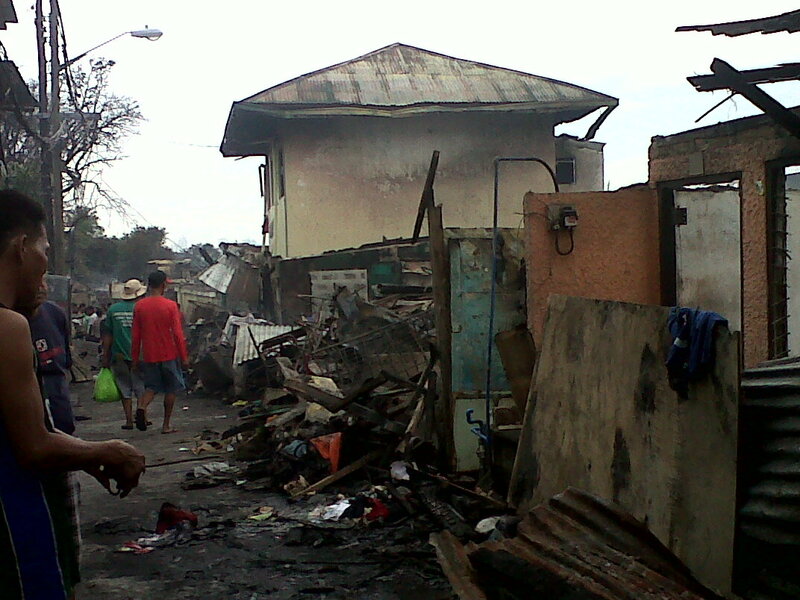 Let me say that the improvement of a society is not made through “re-fixing” our roads. It only happens when each people in society live in prosperity and fulfillment. Besides, the society is not made up of roads, it is made up of people. 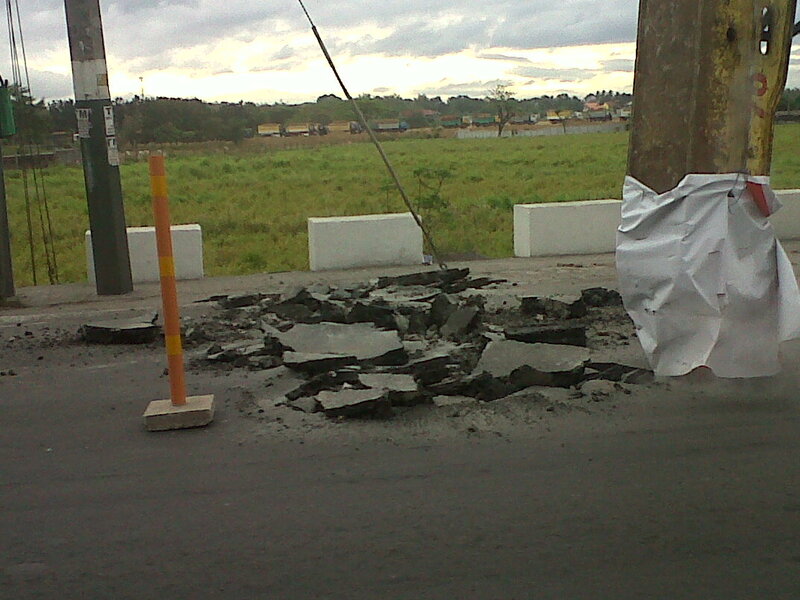 The same “road construction” at Bagbaguin, Bulacan. With this project, it has caused inconvenience to the riding public. Besides, there is no given explanation to the public why this road should be “fixed” when we don’t see any need to be fixed at all. We hold the right to know! Courtesy of my friend, Joash Bermejo. 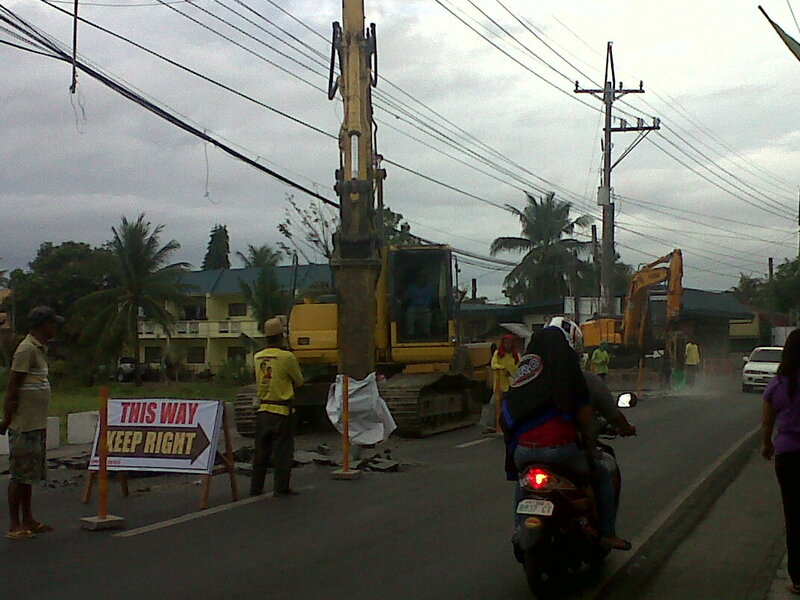 This “road construction” at Hipodromo St., Sta. Mesa, Manila has no start and end date for this project. A big no-no! 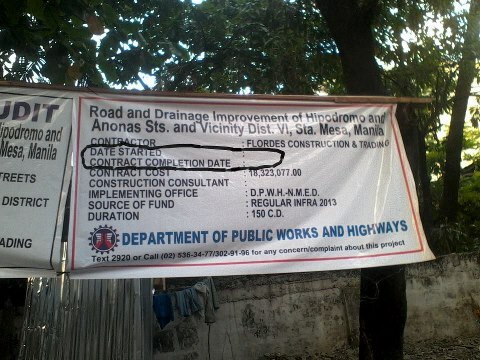 Aside from bothering the normal flow of traffic, we should at least inform our citizens the timeline of this project. A waste of time and money, especially when this project is left unfinished after the elections. 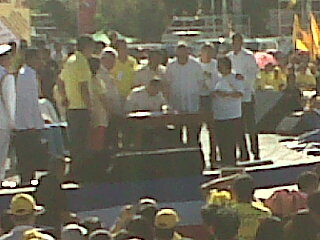 colored groups poured into the rally site, so did the huge tarps and placards bearing the names of the senatoriables. It was a tense moment…maybe because of the atmosphere of the crowd hype then. 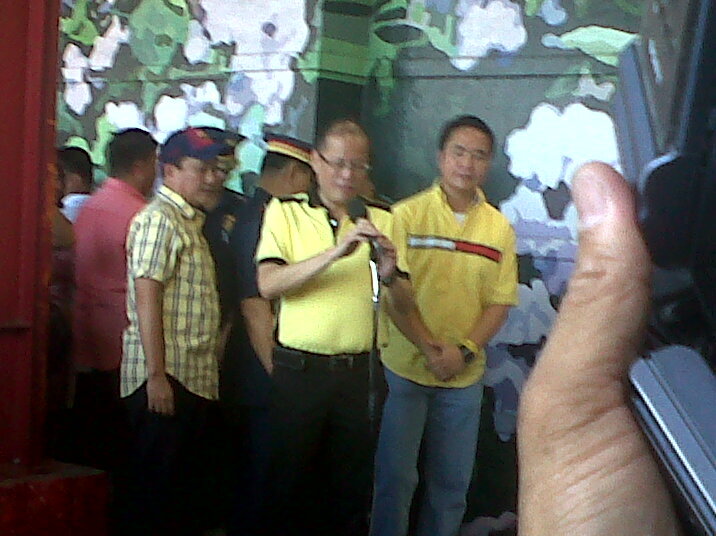 I was assigned to Team PNoy, the admin block. 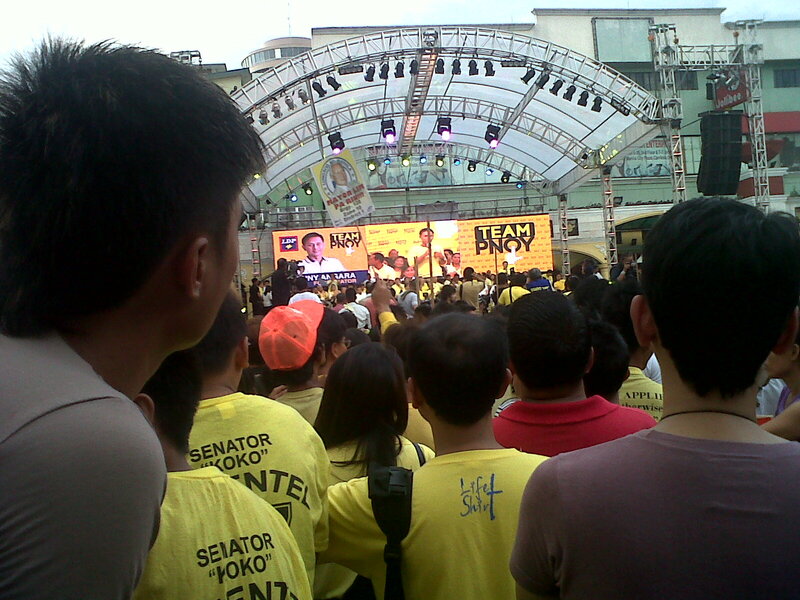 I felt like being drowned in a sea of yellow while the giant tarps tried to block our view. All twelve candidates were given eight minutes to speak to the crowd. Some laid a glimpse of their platforms, some their dramatic life story, and some, as expected, gave their enemies some good bashing. One called the past administration as thieves, the other ranted on him being cheated in the past elections, and another emphasized on not to believe the “others” who were “pretending to ride with their platform”. But during the days before the start of the kick-off campaigns, the word war between parties was already at bay. From “new opposition” claims to “racist” remarks, the media noted them all. Not one from both sides missed to answer the rant of the other. It was sickening. The battle of politics has turned into a sour word war. And for me it’s a dirty game. When I talked to a spokesperson of an election-regulating body in the Philippines, he mentioned that they cannot stop these parties or candidates from making personality-bashing at their campaign. Nothing in our law prohibits such campaigning. Besides, our constitution itself upholds the freedom of expression as we belong in a democratic country. He warned candidates to be mindful of such a campaign strategy. Not everyone buys it. True enough, in all the five or more people we interviewed from the public, nobody likes the idea of personality bashing. All talk but no work, one of them says. The dangers of negative communication. I wonder how far will such a war of words go. It’s easy to criticize. It’s easy to show the ugly side of your enemy. It’s an effective way to make the crowd see you’re in the right standing while the other is not. But such a strategy is the downfall of both sides. Not only will his rival get a bruise from his words; the one who threw will get a bad score from the public. Such a strategy is as immature as kids who fight back when being teased for having a bad hairdoo. How desperate can one become just to get into power? This is how far we have gone in our brand of politicking. Aside from empty promises and dramatic stints, we’ve resolved to picking a fight through words and ego-lambasting. But by doing so, it does not uplift who a candidate really is. Besides, one should be campaigning for himself, not embarrassing another. I just hope that the public would realize that words alone are not the basis for choosing the best candidate (or the “lesser evil” as someone called it). Words do not make up who are worth to lead this society. Besides, while it’s still election season, all voters must choose who are fit to execute the roles a government position demands. Does the personality of that candidate fit the role to be a senator, a congressman or a local government leader? Do they have the skill, wits and political will of a lawmaker and leader? Do they have the heart to lead the public through their unique roles in the government? Those word wars can’t reveal the answers for those questions. I hope every candidate will just be honest in their works. No more personality-bashing, please. It’s time to prove integrity by works and character alone. 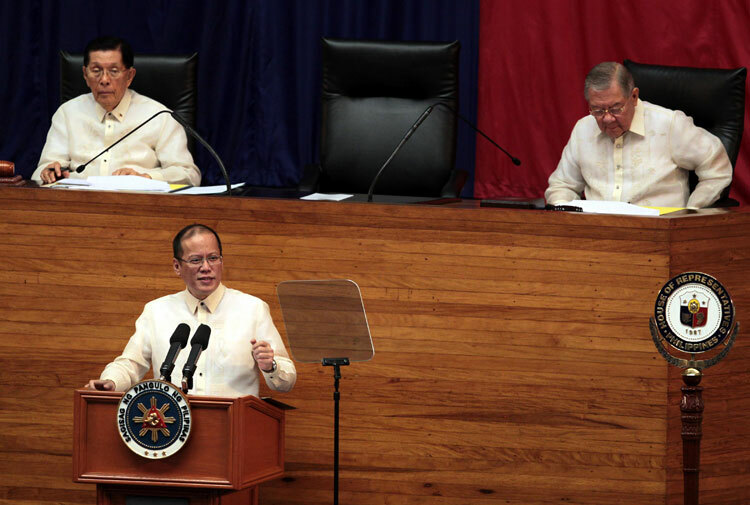 After one and a half hour, 8,890 words, and a three-year review of the present administration, the nation listened to President Aquino’s third State of the Nation Address (SONA). For once again, we were able to look back at his accomplishments, expect new expectations, and evaluate what transpired in our nation under his government. It was no extraordinary SONA. Most of what Pres. Aquino mentioned were a rehash of some of his past speeches from different occasions, especially the review of figures and promises hopes just like our ability to export rice and end of classroom and textbook backlogs in schools by next year. And one of them was the comparison of his administration to that of his predecessor. I would agree that his SONA was a very comprehensive report. Thirty-three pages for that one and a half speech. I can say that most were facts, yet the promises are the ones to watch out. I must admit, it’s a hard thing to give your attention to serious things especially government stuff. In fact, knowing issues would make one even more aware on what’s happening – even causing us to think on the how’s and why’s of everything around. When I first covered Pres. 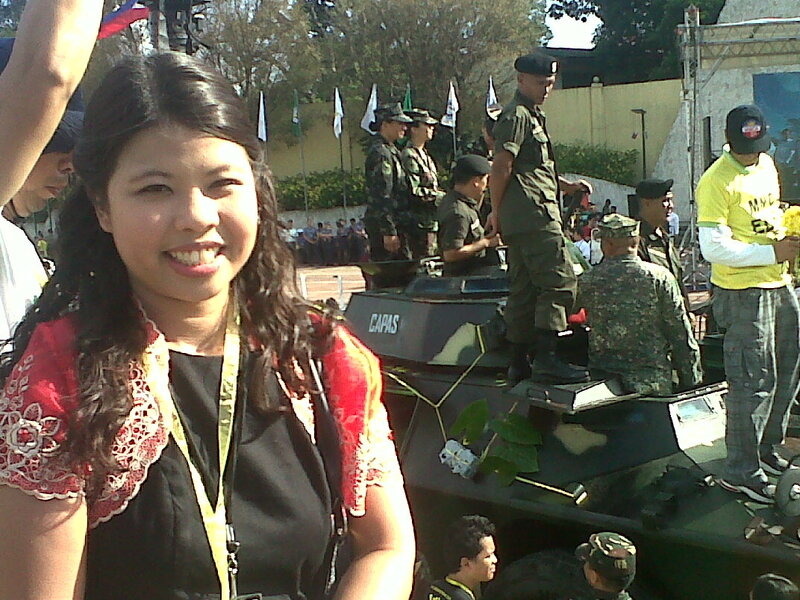 Aquino’s SONA last year, I was very confused – one reason was because I was not following the daily issues and news. It was information overload and it almost blew my mind. A year after, I was more able to watch out and know the should be’s and should not have been’s from his SONA. It’s not a hodge-podge of words. And we have to watch out his promises – especially the ones he said would happen next year. A year after, I can’t tell was it good or bad? All I have to know if his speeches are more than words. He must remember that his bosses are on the watch. Art. 2, Sec. 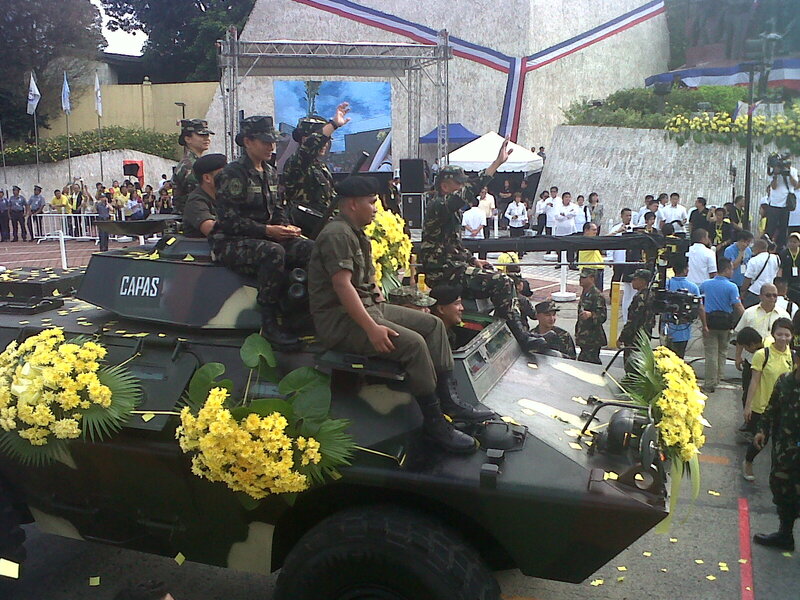 1: The Philippines is a democratic and republican State. Sovereignty resides in the people and all government authority emanates from them. This is not only our right but our privilege. Not knowing and remaining neutral and complacent will not only leave us ignorant, but our rights and freedom slowly abused by those in power. With this right, we can voice our thoughts, take action, and cause those in authority to think, rethink, and perhaps change for our cause. I have but a very small evaluation of his SONA. One year is too small for my observation of his three-year tenure. Another year to go…I’ll make sure I’ll make a better review of this year’s SONA. And I hope the public will view it was more than words. For the rest who has been following his SONA since he was elected, your evaluation?